This recipe has been floating around pinterest for quite some time now and I have been intrigued by it. After waiting several months for the Mexican packs to come back around I got one and with it I made Easy Blender Salsa which is now a new favorite in my house. We eat a jar of it in a week it seems. Anyways, I also made this Guacamole Salsa recipe from Frosted bake shop. 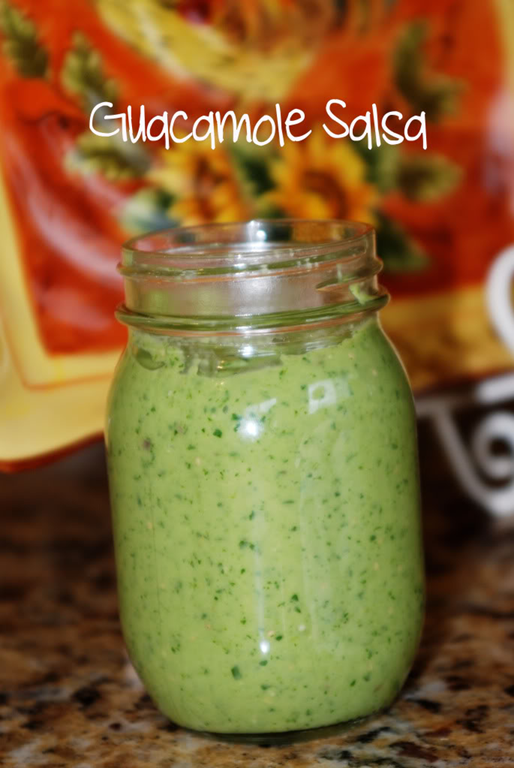 It was super simple to make and I really liked the flavor of the salsa. It was a bit thicker than most salsa, more like the consistency of Guacamole. Would be great on tacos, burritos, or just with chips. Defiantly a keeper in my house! 1. Remove the paper husk from the tomatillos and wash. Cut them into quarters and put in the blender. Next add jalapeno, cilantro, onion, garlic, avocado, salt, and lime juice. Make sure the tomatillos are on the bottom and the avocado is on the top otherwise the avocado will stick to the blade. 2. Blend until the desired constancy. Store in an airtight container in the refrigerator for about a week. I am a big fan of Sonic’s cherry limeades and I know it is just Sprite with a bit of grenadine in it. There is just something about them that I love! So this week when we got a basket full of limes I knew I had to make limeade. I found several recipes and kind of mixed them all together to get what I think was a pretty awesome drink. All the flavors mixed well together for a refreshing summer time drink. ~ 4 cups fresh blackberries or unsweetened frozen blackberries, thawed. 1. In a blender add the blackberries and a couple tablespoons water. Puree blackberries. Then using a fine mesh strainer, strain blackberries into pitcher. 2. In a small sauce pan, combine the sugar, 1 cup water, and lime zest. Bring to a boil then simmer over low heat for about 10 minutes, or until the sugar is dissolved. Add sugar mixture to blackberry puree and refrigerate until cold. 3. To serve, stir in ginger ale (or sparkling water, or water) into the pitcher. 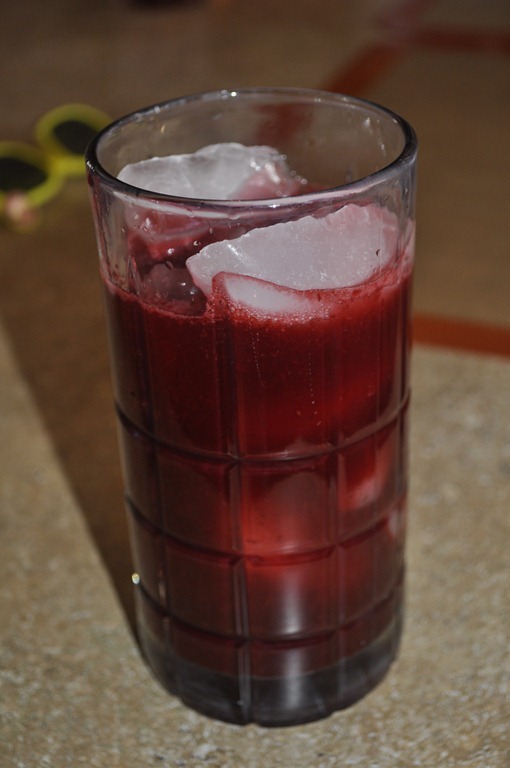 Fill glasses with ice and pour I the blackberry limeade. Garnish with slices of lime.